The second highest peak in South America. Included in the program “7 Second summits”. The Ojos del Salado ascent is often made in combination with the Aconcagua ascent, less often after climbing on the volcanoes of Ecuador. 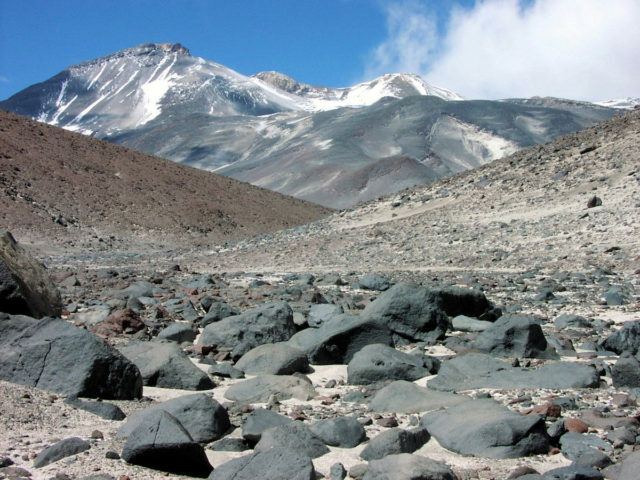 During a long time the Argentinian volcano Llullaillaco situated in the Andes at 25° south and 69° west near the border with Chili was considered to be the highest one in the world – according to different records its height is from 6723 to 6739 m. It had erupted several times within the human memory – in 1854, 1868 and 1877. Of course there are a lot of much higher volcanos in the world, but all of them are considered to be dormant or silent. Among them was the Chilean Nevado Ojos del Salado (6891 m) situated in the Andes near the Chili-Argentina border. Its last eruption is considered to have happened about 1300 years ago and is not recorded. Meanwhile in 1993 Ojos del Salado had made a minor ash emission. In its crater were found fumaroles – vents of volcanic gas and steam spouts. It gave a possibility to review the “status” of volcano and record it as active. 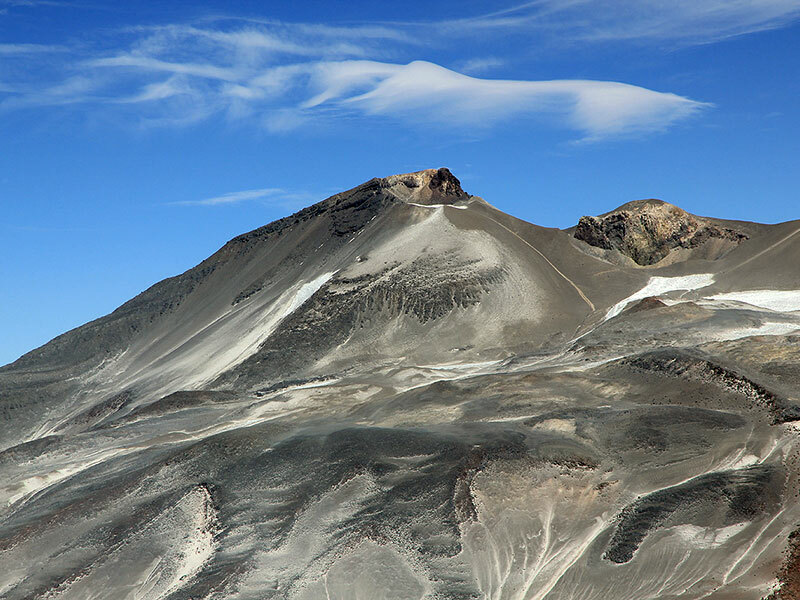 At present time Ojos del Salado is considered to be the highest active volcano in the world that makes it a popular aim of climbing. Ojos del Salado is the holder of several more records. It is the highest point in Chili. It is the second highest mountain in the Americas and in the whole Western Hemisphere after Aconcagua situated by 600 km to the south. As Щощы del Salado is located on the edge of the Atacama Desert, it is not so humid there. That is why there is no permanent snow cap on its top. But in the crater of Ojos del Salado at the height of 6390m there is a permanent lake about 100 m in diameter. 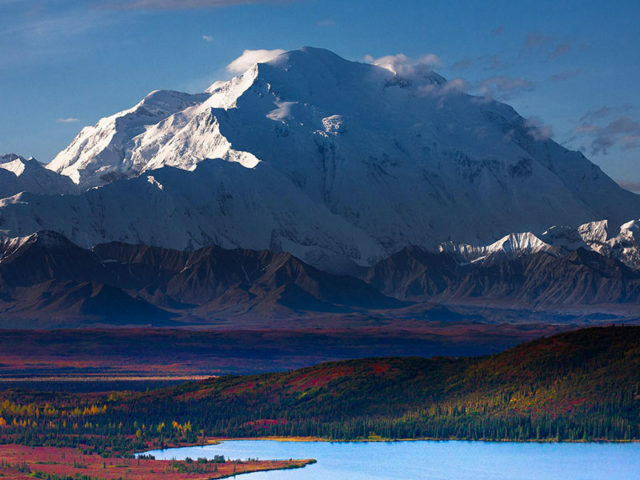 It is the highest lake on the earth. The first ascent to Ojos del Salado had been made in 1937 by Polish mountaineers. 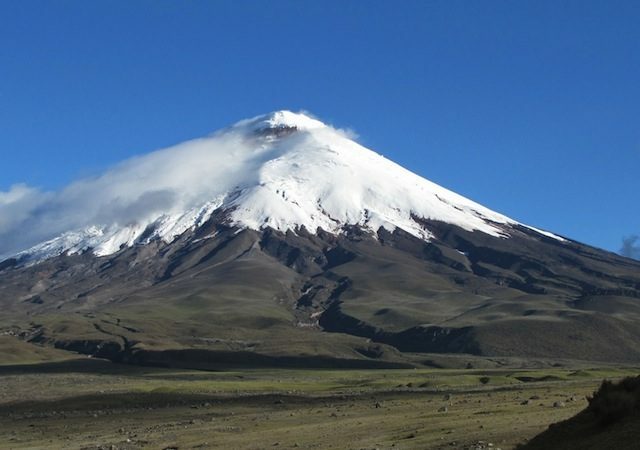 In 2007 the Chilean expedition made an ascent with a special automobile up to the height of 6688 m (it is recoded in the Guinness Book of World Records). Itinerary of the ascent to Ojos del Salado with a guide. Day 1. Arrive to Copiapó. Meet in the airport and transfer to the hotel. Purchase of food for the ascent and process of essential papers. Walk around the city as an option. Night at the hotel. Day 2. Drive by jeeps to the Vallecito (120 km, 2 hours). Vallecito (3100 m) is a picturesque place near the pit where formerly the extraction of semiprecious stones took place. Set up the camp. Lunch. Walk in surroundings for better acclimatization, and rest. Night at camp. Day 3. Drive to the picturesque lake Laguna Santa Rosa (3780 m). It is the inhabitation of flamingoes and guanaco (Lama). Set up the camp. Lunch. Acclimatization walks in surroundings and rest. Night at camp. Day 4. 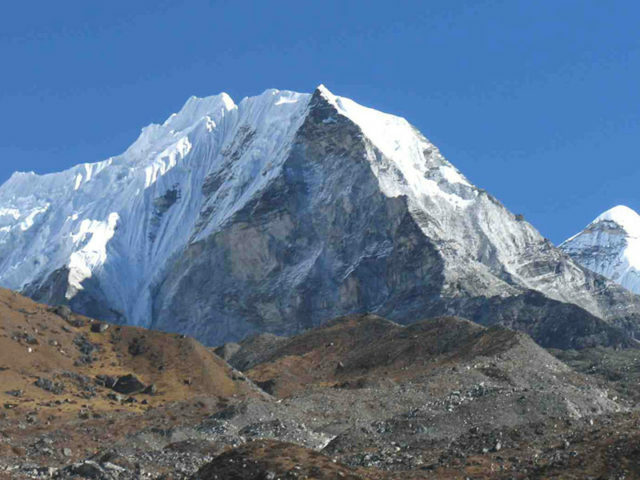 Early in the morning – an acclimatization hike to the summit “7 Brothers” (4800 m). It usually takes about 4 hours to climb the summit. Descent to the camp. Rest. Dinner. Day 5. Drive to the Laguna Verde (Green Lake) (4300 m, about 2 hours). Night in tents. Day 6. After breakfast hike to the mountain “San-Francisco” (6018 m). Drive up to the altitude of 4900 m. Then continue the ascent by foot. The way to the top usually takes about 7-8 hours. Descent to the Laguna Verde and rest. Night in tents (4260 m). Day 7. Rest and acclimatization near the Laguna Verde. Day 8. Drive to the camp Atacama (5260 m). It is recommended to go several last kilometers by foot for better acclimatization. Set up the camp near the shelter Atacama. Dinner. Night on the height of 5260 m.
Day 9. The day of acclimatization in the camp Atacama. Active walk in surroundings. Day 10. In the morning track to the refuge “Tehos” (5800 m) that takes about 3-4 hours. Tea, lunch, dinner. Night at the altitude of 5800 m.
Day 11. Descent to the camp Atacama. Night in camp at the altitude of 5260 m.
Day 12. Rest day in the camp Atacama. It is possible to make a descent to the camp Laguna Verde for 1 day to have a rest. Day 13. Pack the outfit and track to the camp Tehos (5800 m). Early dinner and night in the refuge or tents. Day 14. Climb Ojos del Salado. Wake up at 4 AM, breakfast. Begin the ascent. Usually the way to the top takes about 10-11 hours. The ascent to the Ojos del Salado (6893 m). Descent to the refuge Atacama on the altitude of 5260 m. Drive to the refuge on the height of 4500 m is also possible. Dinner and rest in the comfortable refuge. Day 15. A spare day for ascent in case of strong wind or members feeling sick. Day 16. Transfer to the Copiapo (6-7 hours). Overnight in the hotel. Day 17. Transfer to the airport. Flight to Santiago. Equipment for Ojos del Salado ascent. Ice ax. Classic, on self-insurance. Can be lightweight or combined with a ski stick. Mountaineering Double or triple boots. Double: plastic or leather. Among plastic ones we recommend Scarpa Vega – seem to be the warmest of all double shoes. Sneakers or trekking boots. Ideally, both. Sneakers for the track in the base camp, light boots – for acclimatization exit and base camp. Although you can have sneakers only. Waterproof layer – Jacket + trousers. The industry offers a wide range of products from simple membranes 5000/5000 to products from Gore-Tex. Thick and warm down coat. Warm trekking socks for the day of the ascent. Thermos – 1L. Preferably without a button in the lid. Elastic bandage and / or supporting bandage.